Oh December is a favorite of mine! Today I'm linking up with Narci, Andrea & Erika for Friday Favorites. And I have some pretty great things to share with y'all this week! A few weeks ago my sweet friend, Erin, over at the Perfectly Port Family blog did a giveaway & I was lucky enough to win! She sent a Target giftcard, the cutest ceramic pumpkins, a sweet card & the best bracelets! The bracelets are from a shop called Ellie in her Element & if you don't follow her on Instagram then you are missing out. If you need a last minute Christmas gift for your mom, sister, daughter, teacher or friend they will LOVE these bracelets! And Ellie has been so sweet to offer my readers a discount when you use the code perfectlyimperfect. I got these for Millie Jo on Black Friday for a steal ... $35! Unfortunately they aren't on sale anymore but keep an eye out because Amazon often puts their Mini Melissa's on sale! These are going to be perfect for the holiday season & even into spring. Did you see my post from Wednesday?? 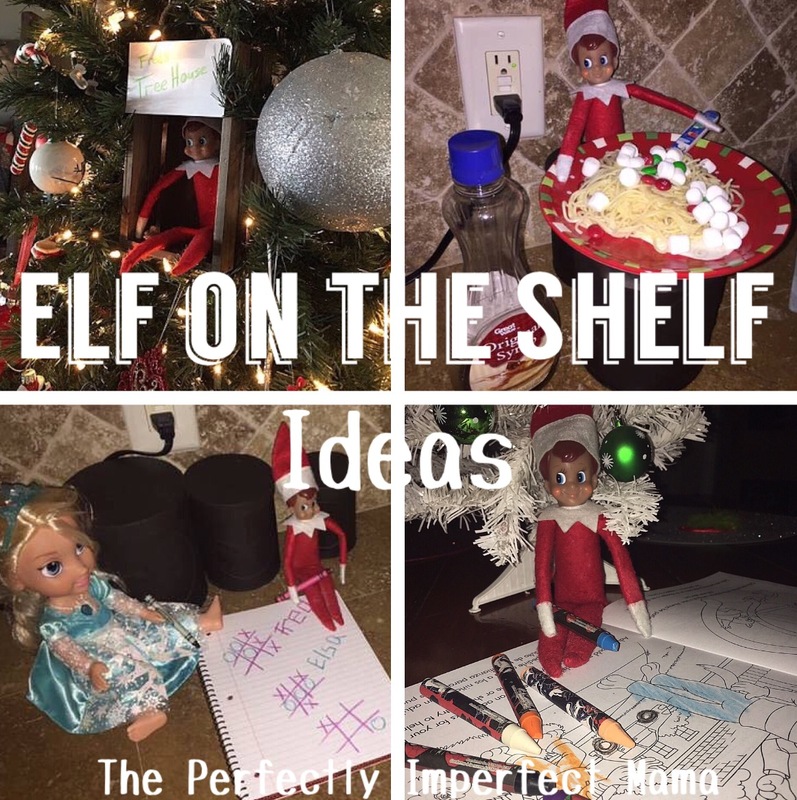 I shared 15 fun & easy Elf on the Shelf ideas. Fred, our elf, comes back tomorrow & I can't wait to see Cooper & Millie Jo's faces! This bluetooth speaker. Oh my heart! I got this a few weeks back from a shop called 6th + Style because I entered a picture of Millie Jo in her Halloween costume in a contest they were doing & she won. Trust me, we are usually the people that don't win anything! HA! But these tiny speakers would be PERFECT stocking stuffers for your kiddos! My two love it. They have a cow, penguin, frog & monkey you can choose from. SO cute! My goodness, I've never had a pair that are as comfortable as these! They were a MUST for this pregnancy. 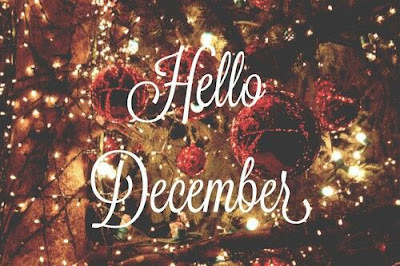 There's five of my favorite things for you this week! I haven't shared a bump update since week 19 so I thought I would share one today! Baby is the size of a rutabaga! Sleep? Time to bring out the body pillow! Movement? Girlfriend flips & kicks all the time. I just love it so much until she decides to use my bladder as a trampoline! Craving? For many weeks I wanted all things salty but now I want all the sweets. Next appointment? I go in a couple weeks & it's the one where they check for gestational diabetes so that means I have to drink that delicious nasty drink. Millie Jo? She talks to her & rubs my belly all the time. And she's always telling me how pretty I look with a baby in my belly ... even when I can assure you, I don't look pretty! I just love her. Cooper? Poor Coop has yet to feel her move. He will sit with his hand on my belly for minutes at a time but she won't move for him. He calls her his little buddy & I just think it's the sweetest thing. 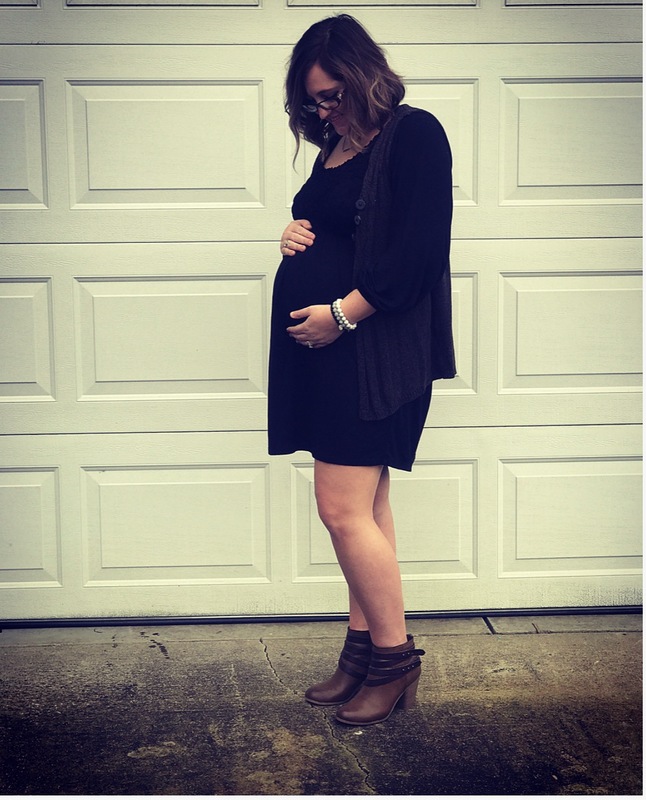 This precious baby is already loved so much & we can't wait to meet her in just a few short months! Those little girl shoes are super cute. What a nice giveaway win!